MeeGo has been created by Nokia and Intel together to begin a shining new era in mobile computing.They created MeeGo, a Linux-based open software platform with a vision that all kinds of hardware devices viz. Mobile computers, PC tablets, media-based phones, Tvs and infotainment systems of vehicle. MeeGo is an open platform and can be used in new Nokia phones. Nokia N10 and Nokia E5x are those mobile phone which will launch in later 2010 or 2011 with Meego operating system.Thus, applications developed for this OS would easily sell Nokia’s Ovi Store. The Nokia N10 detailed specifications and features are not known but we know that this glorious new phone would have huge display screen and will also sport a 12MP camera (just as Nokia N8) but with quad-LED-flash (not Xenon Flash). It makes its photo snapper night video shooter. The quality of videos and photos can be viewed in high quality HDMI. The handset would look dashing with its 4-row tilt hinge QWERTY keypad. 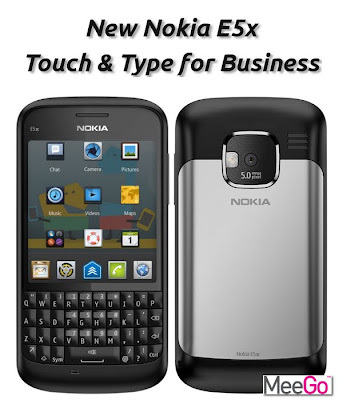 Nokia E5x ran on Symbian but Nokia E5x runs on MeeGo and is a Dream Nokia Phone. Its Touch & Type context is certainly innovative and cool. Quite an informative and well versed blog to get help from and got a whole lot of info regarding Nokia Phones. this is very good nokia mobile phone . this is very intresting mobile phone. 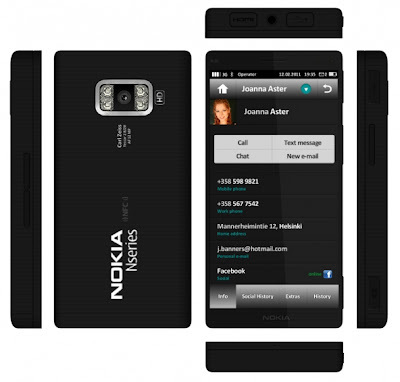 This is an out-standing phone launched by Nokia which meets high-ends. This phone will reflect my status in good manner.